I got this email from a fellow show skier the other day. We had a Sanger barefoot boat with a tower to pull the tournament but it broke after the 4th skier. 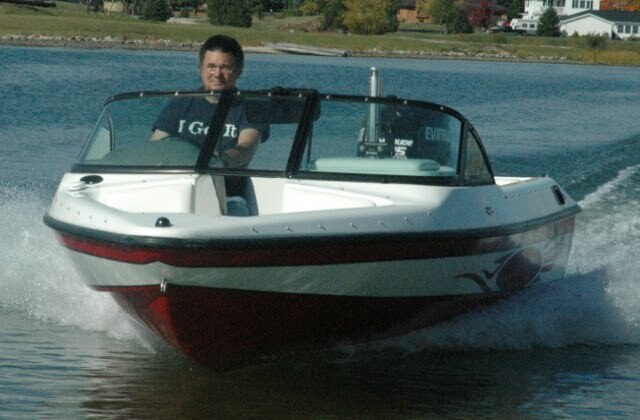 So we did most of the tournament with my 17-6 which I brought to pull the boomers and use as a safety boat. 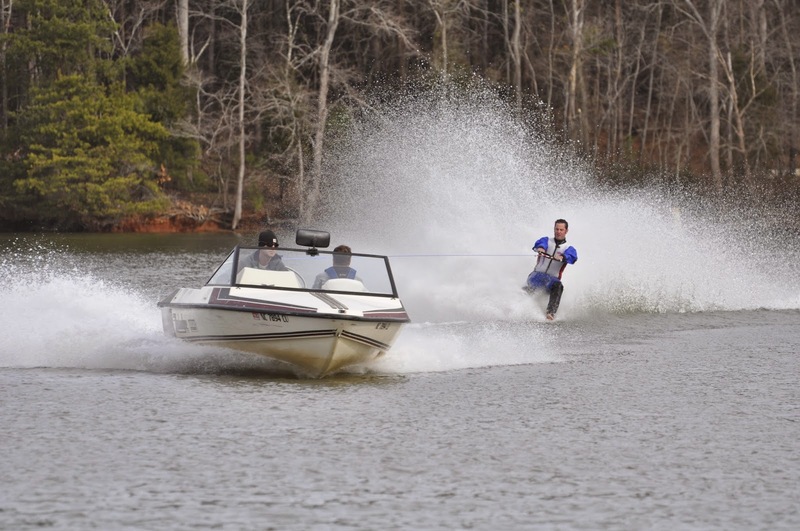 In its 35th year, the Lake Norman New Year’s Day Barefoot Challenge is hosted by Lake Norman Marina in Sherrills Ford, NC, and organized by the Carolina Show Ski Team. It is one of the longest running barefoot skiing competitions in the world. 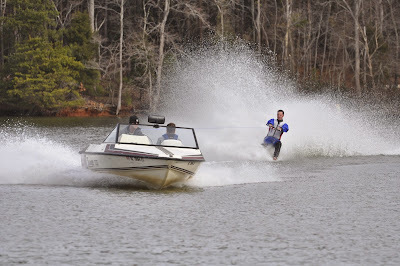 SHERRILLS FORD, NC – Barefoot water skiing icon, Peter Fleck, narrowly wins the Lake Norman New Year’s Day Barefoot Challenge over course record holder Jeff Blair. Fleck finished with a score of 793, one point ahead of Blair. keep a close eye on the action. Fleck, 50, competed on the US World Barefoot Team in five world championships from 1988 to 1998, and has won the national figure 8 endurance tournament seven times, including the 2013 title. After a 13 year hiatus from world competition, Fleck was recently again selected to be on the US Barefootteam traveling to Australia in March for his sixth world championship. From Florida, Fleck’s goal was to set a new course record, breaking Jeff Blair’s record of 816 points set in 2011. “I’ve considered making the trip up to enter the Lake Norman New Year’s Day tournament a number of times in the past, but this year combining it with a snow ski trip to Beech Mountain with my daughter’s church youth group made the trip work. “The event was a lot of fun, and it was great to connect with many old friends in the sport,” said Fleck. Another family making it a father and son event were the Wulfhorsts from Denver, NC. Todd Wulforst won the Mens Division and his son Eli (10) won the Juniors Division. John Gillette, the announcer for the event and former world barefoot team member was not planning to compete this year. However, receiving pressure from his peers, he said he would compete if $500 was raised to donate to Samaritan’s Feet. Samaritan’s Feet is a Charlotte based ministry that provides shoes and a message of love and hope for the 300 million children around the world who suffer needlessly from foot-borne diseases and infections due to a lack of shoes. Within minutes the $500 was raised, Gillette skied and the final total came in at $688.